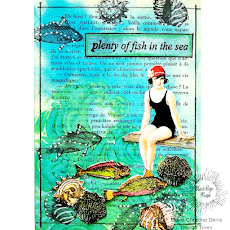 Karen here with another project combining digital images with rubber stamping. This is gorgeous, so clever and pretty! Great use of those images too, brilliant!